The idea of creating the Centre for the Settlement of Investment Disputes (Centre) of the Union of South American Nations (in Spanish, UNASUR) emerged in 2008. 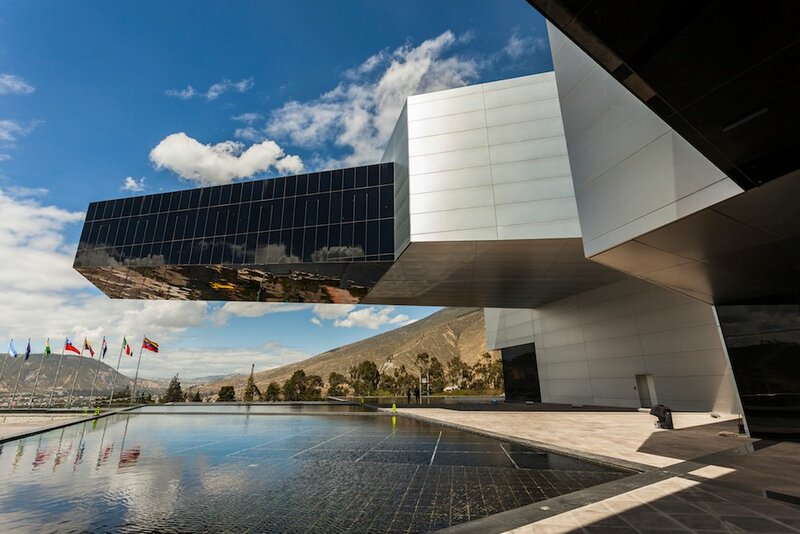 Ecuador, a UNASUR member state, denounced the Convention on the Settlement of Investment Disputes between States and Nationals of Other States (ICSID) in 2009, and in 2010 submitted a proposal for the Centre. In 2012 UNASUR finished drafting the Draft Constitutive Agreement of the Centre for the Settlement of Investment Disputes of the UNASUR (CA). A new version of this document exists since 2014. The Latin American media has recently reported that the UNASUR Working Group of High level Experts on the Settlement of Investment Disputes (Group) has reached a consensus on nearly 80 per cent of the 2014 draft. This means that the Centre may be about to be created. However, a priori, this must be taken with caution as Article 12 of the UNASUR Constitutive Agreement states that “all the norms of UNASUR shall be adopted by consensus” and as, according to different sources of information, there is a lack of consensus on matters of the CA that are not trivial at all. Based on what is known about the text so far, the CA contains 41 articles, divided into six titles. The objective of this article is to describe the most relevant rules of the CA. Article 2 states that the CA shall not affect the applicability of investment dispute settlement mechanisms and other obligations contained in international agreements signed and ratified by any member state. “Member state” means any state that has signed and ratified the UNASUR Constitutive Agreement and is also a party to the AC (Article 3, paragraph 1). A long Article 3 presents definitions of different key terms, including the definition of “Parties,” which, contrary to the concept of member state, covers states as well as nationals of states that are not members of UNASUR. Supposing that both terms are used rigorously throughout the CA, the Parties would be deprived of a series of rights that pertain to member states, such as being part of the Board of Directors (Article 15). In relation to the nationality of legal persons, the CA states that it is up to the member states, when giving consent to submit the dispute to the Centre, to determine what legal persons are nationals of a state other than the state party to the dispute or situation (Article 3, paragraph 2). The Group still has to decide whether it accepts the proposal of Argentina, Bolivia and Venezuela on the cases in which states do not make such determination. UNASUR member states; between a UNASUR member state and a state that is not a member of UNASUR; between a UNASUR member state and a national of another UNASUR member state; between a state that is not a member of UNASUR and a national of UNASUR member state; and between a UNASUR member state and a national of another state that is not a member of UNASUR. The most logical drafting of the last three items should have made reference to the national in the first place. Paragraphs 3 and 4 of the abovementioned article allow states to notify the depositary of the CA (UNASUR General Secretariat, pursuant to Article 35, paragraph 2) that they do not accept to submit certain disputes or situations to the jurisdiction of the Centre, because of either the actors or the specific investment sector involved in the dispute. Paragraph 8, one of the rules still under consultation among UNASUR states, does not allow the most-favoured-nation clause to be invoked “for purposes of consent.” Pursuant to paragraph 11, similarly to Article 26 of the ICSID Convention, when consenting to submit a dispute to the Centre, the state may require the national of another state to exhaust local administrative or judicial remedies. The guiding thread of paragraphs 10 and 12 of Article 5 is the effort of the AC for conciliation and arbitration to be the last resort in any dispute, maximizing recourse to consultations and negotiations through diplomatic channels—with respect to investor–state disputes—which can be conducted in parallel to conciliation or arbitration. On the contrary, the two latter mechanisms exclude any other national or international jurisdiction (Article 5, paragraph 12). In this sense, diplomatic protection or the submission of an international claim will only be possible after the state has failed or ceased to comply with the award rendered by the Centre (Article 5, paragraph 14). This title presents the structure and functions of the two bodies composing the Centre: the Board of Directors (Article 8) and the Secretariat (Article 9). In most cases, the decisions of the Board of Directors must be adopted by consensus. The CA provides for the possibility for a UNASUR member state that is not a member of the Centre to attend the meetings of the Board of Directors as an observer. UNASUR associated states can also gain access to this status. Article 11 addresses the matter of privileges and immunities of the Centre and, in contrast to Article 21 of the ICSID Convention, makes no express reference to immunities of conciliators and arbitrators. Article 12 lists the main potential financial resources of the Centre, including annual contributions by the member states and donations by states, international organizations or private entities. A matter of evident practical importance under Title III, which so far has not been agreed upon by the Group, is the geographical location of the Centre’s headquarters (Article 10). This title is the longest and contains the largest legal content of the CA. After Article 13 references the three mechanisms established within the scope of the Centre (facilitation, conciliation and arbitration), Article 14 describes facilitation as an optional preventive mechanism in the matter of technical opinions. Articles 15 to 17 focus on conciliation, which is described as a mechanism by which an impartial third party or group of third parties interpret the controverted points presented by the parties to the dispute and try to reconcile them. Conciliation can take place before or after arbitration commences. In the latter case, the arbitration proceeding will be suspended (Article 20, paragraph 3). Articles 18 to 33 elaborate on different matters concerning the arbitral mechanism. Remarkably, they state that the constitution of the arbitral tribunal is at first glance similar to facilitation and conciliation: the parties agree on appointing a sole arbitrator or an odd number of arbitrators. However, a novel mechanism is proposed to elect the president of the tribunal in case the Secretary of the Centre verifies that the parties are unable to reach an agreement on the president’s appointment. The Secretary will present to the parties a list of five candidates, and each party must exclude two candidates from the list and rank its preferences with respect to the three remaining candidates. Finally, the Secretary will choose the president of the tribunal based on the coinciding choices of the parties (Article 18, paragraph 6). Article 22 refers to arbitral awards, with respect to which Colombia and Venezuela have submitted proposals asking to clarify that arbitral tribunals may only grant pecuniary compensation. Articles 27 to 31 focus on the potential appeals against the award. Currently, this is the most controverted section between Group members. Along with the request for clarification (when the parties differ as to the meaning or scope of the arbitral award arises) and the request for revision (when either party discovers a new fact that could have been decisive in the award), the CA also provides for annulment, the grounds and time limits of which are very similar to those under Article 52 of the ICSID Convention. However, differences may arise as to the treatment of annulment by the two institutions if the proposal by Argentina, Ecuador, Paraguay and Venezuela finally prevails in the Group, namely, in favour of referring annulment requests to a Permanent Tribunal rather than to an ad hoc Commission. Particularly novel with respect to the current system of investment arbitration under ICSID is the content of Article 31 of the CA, which outlines an appeal against the arbitral award. If such appeal is maintained in the final version of the CA, the parties will be allowed to file an appeal within 120 days if the award contains an error in the application or interpretation of the law applicable to the dispute. Furthermore, Argentina, Paraguay and Venezuela defend the possibility of annulment in case of a manifest and material error of fact in the assessment of conclusive evidence. Once again, regarding annulment, UNASUR countries have not yet reached an agreement as to whether it shall be dealt with by an ad hoc Commission or by a Permanent Tribunal. The first option, advocated by Brazil, Colombia and Peru, advances a system for the appointment of the members of the Commission that replicates the above mentioned system of exclusions and ranking as well as equates nationality to permanent residence (Articles 31 and 32). The second option, proposed by Argentina, Ecuador, Paraguay and Venezuela, provides that the Permanent Tribunal shall be composed of impartial and independent persons with recognized professional experience in the field of international law (Articles 32 bis and ter). It is also proposed that the Permanent Tribunal be composed of up to 12 members, one from each member state of the Centre, who will work in chambers of three members. Article 33 is devoted to the recognition and enforcement of awards. After stating that the award is final and binding on the parties to the dispute and that it is enforceable as a domestic court decision, the provision grants the respondent state a period of 120 days to comply with the award. After that time, the provision authorizes the interested party to initiate the recognition and enforcement of the award. The proceeding will occur in accordance with the provisions of the procedural law of the state where such recognition and enforcement is sought, including international agreements to which it is a party. In this sense, the CA expressly refers to both the New York Convention and the 1975 Inter-American Convention on International Commercial Arbitration. Finally, this title finishes with two Articles (34 and 34 bis) referring to the lists of conciliators and arbitrators and to the procedure for challenging them. As to the first point, an innovative proposal was advanced by Argentina, to allow each member state of the Centre to request clarifications about the candidates proposed by other states or to present justifiable objections to the candidates when it understands that they do not meet the necessary qualifications. If the proposing and objecting states do not reach an agreement, the objection raised would prevail over the nomination of the candidate. As to the challenging of conciliators and arbitrators, Argentina proposes that, contrary to the ICSID regime, the disqualification may never be decided by the other members of the conciliation or arbitral body. This final title states that six ratifications will suffice for the CA to enter into force (Articles 35). According to the Group, this matter must be discussed by the Council of Ministers of Foreign Affairs of UNASUR. Article 36 provides that the settlement of disputes regarding the interpretation and application of the AC must be settled through direct negotiations between the states and, if they do not reach agreement after a six-month period, through a consensual decision by the Board of Directors. Article 37 refers to a review of the functioning of the Centre every five years. Article 39 states that the CA shall have indefinite duration and allows a member state to denounce it at any time. Finally, Article 41 indicates that the CA is open for signature by UNASUR member states and by current UNASUR associated states that may acquire the status of UNASUR member state. This title focuses on, among other issues, the abovementioned need for preparing several additional necessary documents for the functioning of the Centre (the Administrative and Financial Regulations, the Regulations on the Mechanisms Rules of the Centre and the Code of Conduct). The most recent meeting of the Group took place in Montevideo, Uruguay, between March 29 and 31, 2016. We will have to wait to see if negotiators will soon be able to reach a political and legal agreement on the aspects of the CA that are still controverted. The future operation of the Centre is likely to generate scepticism, as it could undermine international standards in favour of regional parameters and, in turn, lead to increased instability throughout the region. From a different perspective, the creation of the Centre could enhance the legitimacy and popularity of the mechanisms for investor–state dispute settlement in UNASUR member states, through the implementation of the procedural and substantive novelties contained in the CA. Katia Fach Gómez is Professor of Private International Law in the University of Zaragoza (Spain). Her collaboration in this paper is part of a research project financed by Humboldt Stiftung (Forschungsstipendium für erfahrene Wissenschaftler). The author is also member of the research projects DER 2012-36806—Subprograma JURI—and e-Procofis S 14/3 DGA. Catharine Titi is a Research Scientist of the Centre national de la recherche scientifique (CNRS) and the Centre de recherche sur le droit des marchés et des investissements internationaux (CREDIMI) of the University of Bourgogne (France). Translated into English by María Candela Conforti. See Fiezzoni, S. K. (2012). UNASUR arbitration centre: The present situation and the principal characteristics of Ecuador’s proposal. Investment Treaty News, 2(2), 6–7. Retrieved from http://www.iisd.org/pdf/2012/iisd_itn_january_2012_en.pdf. For an unofficial translation into English, see Sarmiento, M. G. (2015, November 20). The 2012 Draft Constitutive Agreement of the Centre for the Settlement of Investment Disputes of the UNASUR. Retrieved from http://papers.ssrn.com/sol3/papers.cfm?abstract_id=2698574. For an unofficial translation into English, see Sarmiento, M. G. (2015, December 14). The 2014 Draft Constitutive Agreement of the Centre for the Settlement of Investment Disputes of the UNASUR. Retrieved from http://ssrn.com/abstract=2703651. TeleSUR. (2016, January 16). South America forms alternative to free trade kangaroo courts. Retrieved from http://www.telesurtv.net/english/news/UNASUR-Close-to-Forming-Investor-Dispute-Center-20160119-0036.html. Tratado Constitutivo de la Unión Sudamericana de Naciones, May 23, 2008. Retrieved from http://www.unasursg.org/images/descargas/DOCUMENTOS%20CONSTITUTIVOS%20DE%20UNASUR/Tratado-UNASUR-solo.pdf. Fach Gómez, K., & Titi, C. (2016). International investment law and ISDS: Mapping contemporary Latin America. Journal of World Investment & Trade, 17(4), 515–535. See also Álvarez Zárate, J. M. & Pendleton, R. (2016). The international rule of law in Latin American investment arbitration. Journal of World Investment & Trade, 17(4), 681–699. UNASUR. (2016). Acta – XIII reunión presencial del grupo de trabajo de expertos de alto nivel sobre solución de controversias en materia de inversiones de UNASUR. Retrieved from https://repo.unasursg.org/alfresco/service/unasursg/documents/content/ACTA_DE_LA_DECIMA_TERCERA_REUNION_PRESENCIAL_DEL_GRUPO_DE_TRABAJO_DE_EXPERTOS_DE_ALTO_NIVEL_SOBRE_SOLUCION_DE_CONTROVERSIAS_EN_MATERIA_DE_INVERSIONES_DE_UNASUR.pdf?noderef=3883225f-6ec1-48bd-8dc9-72e6ed7dbfc4. The authors wish to thank Professor José Manuel Álvarez Zárate for his efforts to obtain information on the results of this meeting of the Group. Previous article Previous article: Can EU Member States Still Negotiate BITs with Third Countries?